THE AMERICAN ECONOMY has long been a shell of its former self. In its manufacturing heydays, production was high, incomes could grow, and the mythical model of eternal economic growth promised never-ending expansion of prosperity. A robust middle class existed well beyond the reach of poverty, tantalizingly close to the possibility of not only a stable present, but also a comfortable future. Our boisterous economy was founded on seemingly unlimited natural resources. We mined elements and energy from the bountiful crust, churning them into houses, highways, and skyscrapers. Our innovation in household technologies earned copious amounts of leisure time and freed women from a life of a certain type of indentured servitude. We felt self-reliant and self-sustaining. Our currency was the world’s standard. Sure, we consumed foreign energy, but we had that under control. Plus, we were Americans. We put that energy to good use, producing most of the world’s innovation and making most of the world’s major breakthroughs in science and technology. That which was we could not invent or build, we could buy. We centralized our agriculture, making farming nearly automated, feeding millions around the world, doing good for others, and spreading the wealth. We held ourselves up as the last bastion of Liberty and Freedom. We policed the world from the bad guys, spending billions of dollars and thousands of lives making sure that America’s interests were protected and projected. We looked forward to a New American Century. Little did we realize that major sideways shifts in our economy would obviate the need for mining of natural resources for ourselves; we could export a great deal more than we imported, including steel, copper, lumber, and other raw materials that could be transformed via cheap labor in other countries into consumables for us to want to have, to own, to use and dispose. While our factories lay silent, we spent more time and money on restaurants, entertainment, information, and travel, investing less and less in the foundation of a production-based economy. We valued our lives, our careers, our families, and our futures. The shift to a service economy meant that much of our economy, as economies go, became increasingly propped up by non-essential activities relating to fulfilling, but not necessarily enriching, experiences in our lives. In finding what we valued most – our health – we placed a literal price on our heads. OUR BRAINS are still America’s greatest natural resource. After the dot-com bust, a robust economy based on information, know-how, and biotechnology helped create one of the most lucrative sectors in any economy in any country in the history of humankind. The Pharmaceutical sector is poised for a good 30 years of expansive growth, as baby boomers age and demand ever-more effective medical treatments and drugs to extend their lives, and reduce the severity of symptoms. The burgeoning sector has moved from increased efficacy of treatments to treatments that are just about as good, as long as they come to market faster and in prettier packaging. Direct-to-consumer marketing has helped to keep the population up to date on the latest near-advances, and their side effects, with expensive campaigns that sends patients to their doctors clamoring for changes in drugs that might be right for them. We are now drugged from cradle to grave. Via CDC recommendations, new born babies are now given ample protection from sexually transmitted HepB via vaccination at birth, with little information available on how long immunity lasts. That’s on the way in. On the way out, our seniors are inappropriately medicated in nursing homes for behavioral episodes, without a prescription, without family consent, to the tunes of billions of dollars paid out by Medicare. In between, ADHD overdiagnosis means psychotropic meds for children lined up in schools down the hallway, around corners for their doses at the nurse’s office. IT IS PERFECTLY REASONABLE to question where all of the profit from all of those doses and drugs and vaccines goes. After all, we are bombarded with information campaigns and now political campaigns to try to enforce compliance. Where is all of this information and urgency coming from? Quite often, it comes from people with serious conflicts of interest. There are no consequences to those who routinely shame or ridicule people who have questions on vaccine efficacy, or safety. The use of pejorative labels, hate speech, and stigmatization is rampant, even being used by members of the press, with little regard for the human beings behind the caricature labels. Our culture is being sullied by name-calling and bullying with an abject disregard for the dignity of the human holding the position, or asking a question. Questions of vaccine safety are answered with non-sequitur claims about vaccine efficacy. There is no real discussion. Financial incentives for vaccine waivers on par with those for vaccines, so serious and and well-founded concerns from educated and well-informed parents can be heard. It is also reasonable to question the overall benefits and costs of such medical procedures and treatments to society. Those of us in clinical research sciences tend to focus on efficacy and safety. Few of us bother to study necessity. The question of the utility of specific vaccines in not limited to their efficacy. It is also a function of their overall effects on public health. The question of the utility of psychotropic drugs and stimulants for ADHD, similarly, is not fully answered by statements of efficacy. It is also a function of the overall effects of prolonged use of these stimulants on public health. Few Americans know that the most common stimulants prescribed for ADHD were approved for treatment of ADHD, and no long-term safety trial has found sustained efficacy or safety. 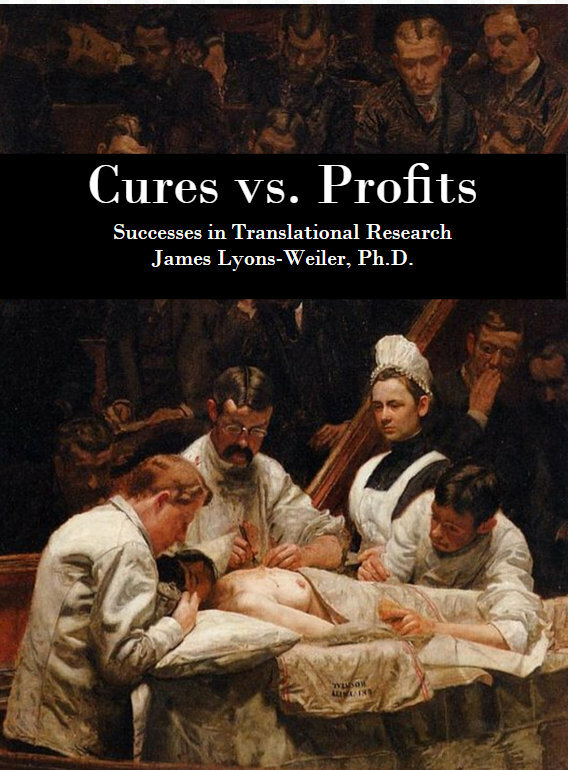 This topic is given extensive analysis in my next book, “Cure vs. Profits: Successes in Translational Research”, expected from World Scientific in May, 2016. There are some who would like to strip us of our right to inquire on the safety of vaccines, or to share with each other knowledge gleaned from such inquiries, by liking participation in the debate, or the science of vaccine safety, to shouting ‘gunfire’ in a crowded theater. What would our society look like if in fact we could not ask our doctors to tell us about the risks of specific, routine medical procedures? Could doctors inquire of the AMA, or APA, or the FDA, on the risks? Could medical students be taught about risks of adverse events, or would their instructors be arrested for inciting knowledge? Could one parent tell another parent that their child developed encephalitis, or encephalopathy, or any number of other vaccine-induced injuries well recognized by the Special Masters Court? Would we even be allowed to report vaccine injuries to the VAERS, or would we be arrested for shouting “Vaccine Injury!” in a crowded society of citizens increasingly injured by vaccines. Luckily, for all of us, rational alternatives and voices exist. We really must examine our identity as a nation before we dispense with our rights to discuss what our doctors can do to us, and to our children. About 10% of the aluminum that we take in during our lifetime via diet, or vaccines, stays in our brains for decades, causing microglial activation, neurofibrillary tangles, and tau protein deposits (leading to Alzheimer’s disease). Vaccine epitopes (portions of protein sequences) routinely have very high homology (similarity) with our own epitopes, causing vaccine induced immunological damage in some people. Mothers of autistic children tend to have anti-brain antibodies in their blood, suggesting that it is dangerous to activate the immune system (via infection or by adjuvanted vaccines) during pregnancy. This is a tiny sample of the extensive knowledge base paid for by the American public via their tax support of the National Institutes of Health. Conveniently, neither the CDC, nor Mr. Hodge, care to cite the rest of the thousands of studies that we have all paid for that inform on mechanism of disease from vaccines and their additives. 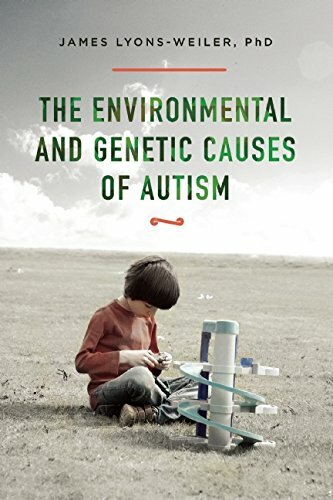 The rest of the tidbits will be available in 2016, summarized, analyzed and interpreted in my forthcoming book “Genetic and Environmental Causes of Autism”, to be published by Skyhorse Publishing. We have to ask ourselves, what kind of America do we want in 2020? Do we want one in which vaccine injuries continue to cause autoimmune disorders? AARDA estimates that 1 in 5 Americans now have autoimmune disorders. Autism rates before age six are now 1 in 48. How prevalent and severe must these conditions become before a sufficient number of Americans take notice? Do we want an America continuously divided against itself, with friends against friends, family members against family members, scientists against scientists, all the while an elite of wealthy individuals continue to accrue wealth beyond measure and accountability? “[p]olitical power has been narrowly concentrated, and has been used to create great wealth for those who possess it”. Do you know who your masters are? I ask this of you because I think you should know that by your actions, you risk enslaving us all. My masters are Science and Reason. I can tell you the benefits of vaccines. I can also tell you of the risks. At least I can do both in 2016. It remains to be if we retain the right to express concerns over vaccine safety in America in the future. I would like to acknowledge Tim Lundeen for his generous personal gift of the book, “Why Nations Fail”, which I will donate to a Public Library upon completion.